A handful of fruits and veggies, also known as the “Dirty Dozen,” are more likely than others to be contaminated with pesticides. But there are steps you can take to keep your family safe while still eating healthy. 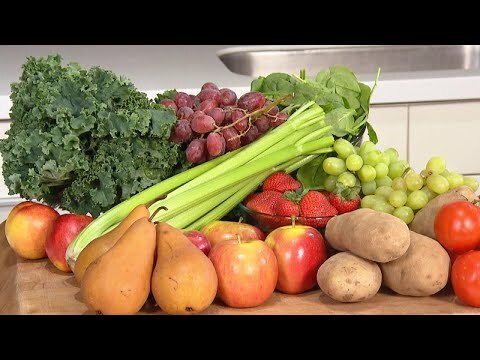 Jaclyn London, nutrition director at Good Housekeeping, showed Inside Edition how to keep produce clean. Kale, the superfood loaded with nutrients, is third on the list. When you’re dealing with leafy vegetables, London said it’s important to completely soak them.